With Mitt Romney’s early edge in organization and fund-raising up against Gingrich’s growing attraction as the “authentic” conservative, it could be a long ride. I’ve said it before and I’ll say it again: California could wind up playing a decisive role in the GOP Presidential nominating process. This time, the possibility is real. The GOP contest is still unsettled, but—today, at least—it looks like it’s beginning to jell into a two-person race. 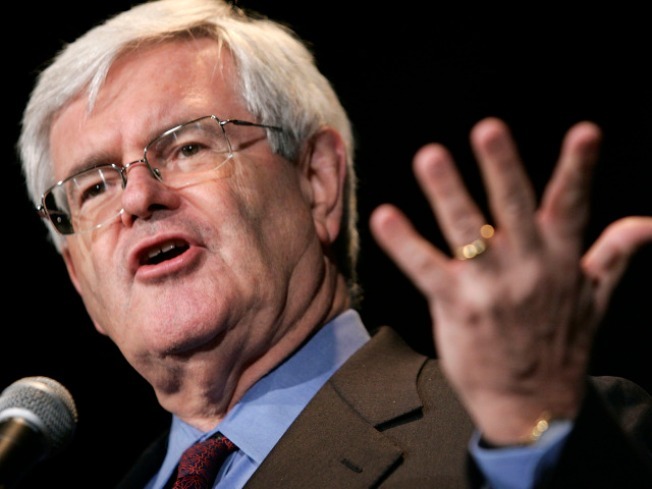 The campaign of erstwhile front-runner, Mitt Romney, has seriously begun to unload on a surging Newt Gingrich. Fasten your seat belts; it’s going to be a bumpy ride. With Romney’s early edge in organization and fund-raising up against Gingrich’s growing attraction as the “authentic” conservative, it could be a long ride, too. If there’s no early knock-out on the primary trail, things could get really interesting, because the Republicans have adopted a rule requiring national convention delegates to be allotted, at least in part, by proportional representation. The attrition of “winner-take-all” primary contests is likely to draw out the GOP nomination process. Here’s another interesting scenario, courtesy of Tony Quinn, an editor of the respected California Target Book, which provides analysis of Golden State election races. The December 1 Field poll showed President Barack Obama leading Mitt Romney by 10 points and Newt Gingrich by 20 points in California. In California’s coastal counties, which represent 61% of the state GOP electorate, Romney leads Gingrich by 10 points. Conservatives account for 45% of GOP voters, and they’re almost evenly split between the two candidates. Strong Tea Party identifiers are overwhelming supportive of Gingrich (38% to Romney’s 18%); but they account for only about ¼ of California Republicans. Those coveted older voters, who account for 52% of the state’s GOP electorate, are basically split between Romney and Gingrich. The Field Poll also shows Obama winning 50-40% over Romney, who is strong in toss-up areas, and beating Gingrich by a heftier margin of 55% to 35%. Not a bad upshot for this “electorally Inconsequential” state.